This is a very latest and fantastic invention for head safety. Many players during the match injured during match. So, it is a great technology to help for them. Impakt Protective is an innovative company that has recently introduced a wonderful safety device known as the Shockbox. The sports safety device has already become popular among athletes in Canada and is generating huge interest across the border down south. The Shockbox is meant to be used by players of contact sports such as football, rugby, ice hockey, and so on where there is a risk of damage to the brain upon high impact collisions. Such collisions are a routine part of sports such as rugby and lacrosse. During the 2012-13 season of the National Football League alone, the players suffered more than 160 head injuries. Therefore, the device has wide applicability if it proves to be effective. The Shockbox consists of a sensor that is actually in the shape of a strip made of rubber. The average length of the strip is almost 5 inches. The complete device also includes a Bluetooth transmitter so that the data from the sensor can be transmitted through a wireless network to the mobile phone or computer of the coach. In addition, the Shockbox also comes with a micro USB so that the data can be saved and transferred to a regular computer for permanent storage and comparison. The device also comes with a lithium-ion rechargeable battery, of the kind that is widely used in mobile phones. The Bluetooth can be activated to establish a link with the slave device at the touch of a button. 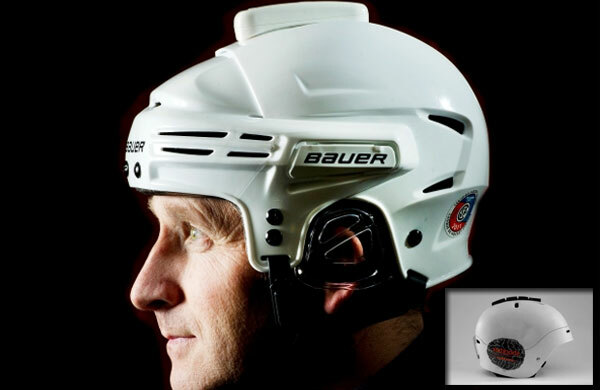 The Shockbox is to be inserted in between the padding and the outer shell of the helmet. This allows the sensor to register the maximum force of the impact on the head and transfer it to the computer with the coach. An impact that is in excess of 50 G will appear in the form of an orange colored signal on the computer whereas an impact that registers more than 90 G will be indicated by a red signal. Next PostSuper Ball Bot - A Robot Launched by NASA!